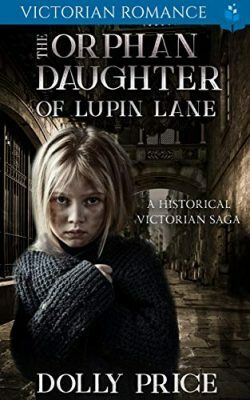 It is 1874 and a lost little girl stands shivering outside Coll’s Bakery. No one on Lupin Lane recognises her, and the ever-present dangers of Whitechapel leave the fatherless child helpless. What can the elderly couple do but take this bedraggled and hungry orphan into their heart and home? Other than her name, Isabella’s past and how she ended up on Mr. and Mrs. Colls doorstep remains a mystery. As Isabella flowers into a young woman, the secrets of the past float to the surface, as do family feuds and savage enemies of the innocent girl. Phillip Mitchell, Mr. Coll’s young apprentice, discovers just how close Isabella is to a fearful demise, and determines to protect the woman he secretly loves, but he may be too late. Will Isabella survive the plot against her life, and will she finally discover her true identity and uncover who the mysterious shadows from her past really are? Will Phillip draw the courage to display his true feelings to Isabella, and can this once-lost orphan trust her precious heart to the love of another? If you enjoy books by Dilly Court and other Victorian Romance writers, you will love this debut novella by Dolly Price. Dolly Price writes wholesome historical romance. Buy The Orphan Daughter of Lupin Lane today to dive into this moving tale of a vulnerable orphan and her thrilling journey to the secure arms of love.